'Glendalogh in Spring Co. Wicklow' The Genius of Van Der Putten in Co Wicklow, Ireland. Superb Painting by Daniel Van der Putten. 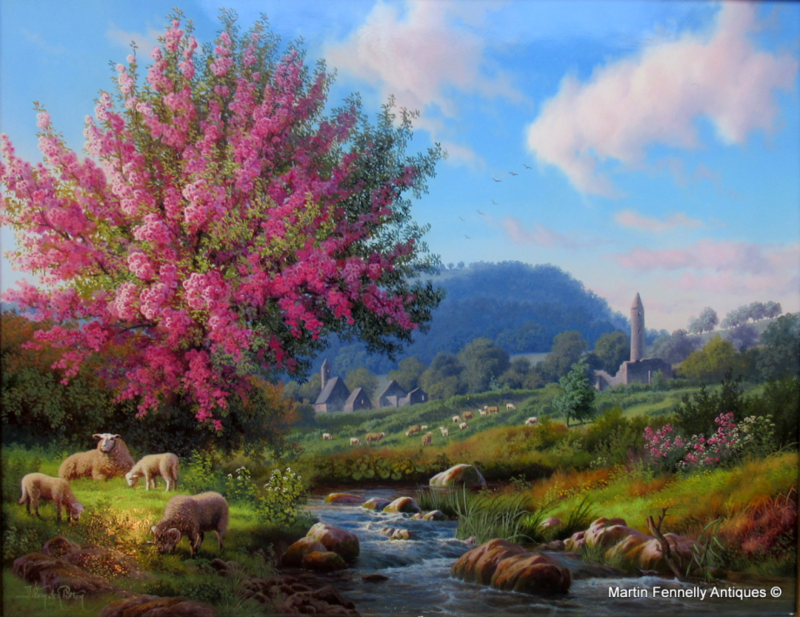 This is a beautiful Painting of one of Ireland's most beautiful areas in the Wicklow mountains (South of Dublin). Daniel Van Der Putten is Dutch born but resides and paints in the UK. Exhibited only in the finest Galleries, it is a great honour to have a Van Der Putten in my Gallery and to have the only Painting of Glendalough by Van Der Putten is a very rare honour. 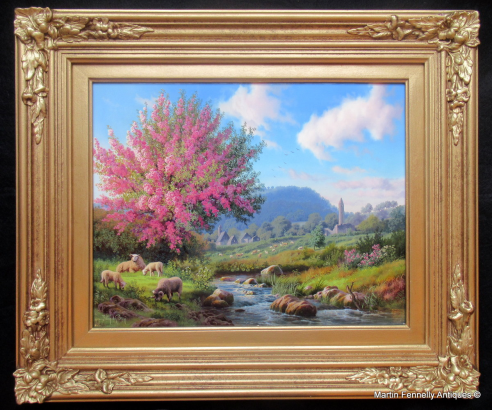 Van der Putten's majestic brush work captures with consummate finesse the Magic of this rural scene and his Shadow and Light work in this rural scene is Superb. 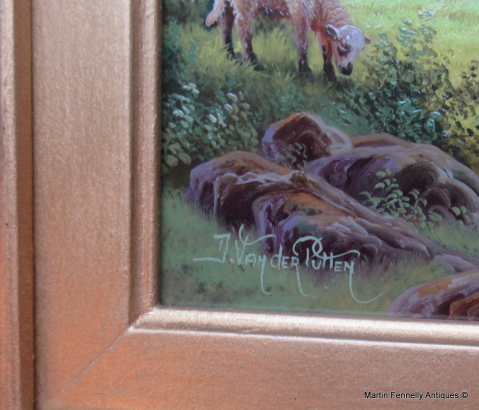 The Painting is framed in a fine quality Gilt Frame. This fine tower from the 11th century, built of mica-slate interspersed with granite is about 30 metres high, with an entrance 3.5 metres from the base. The conical roof was rebuilt in 1876 using the original stones. The tower originally had six timber floors, connected by ladders. The four storeys above entrance level are each lit by a small window; while the top storey has four windows facing the cardinal compass points.Round Towers, landmarks for approaching visitors, were built as bell towers, but also served on occasion as store-houses and as places of refuge in times of attack. St Kevins Church with smaller tower is also featured in the painting.